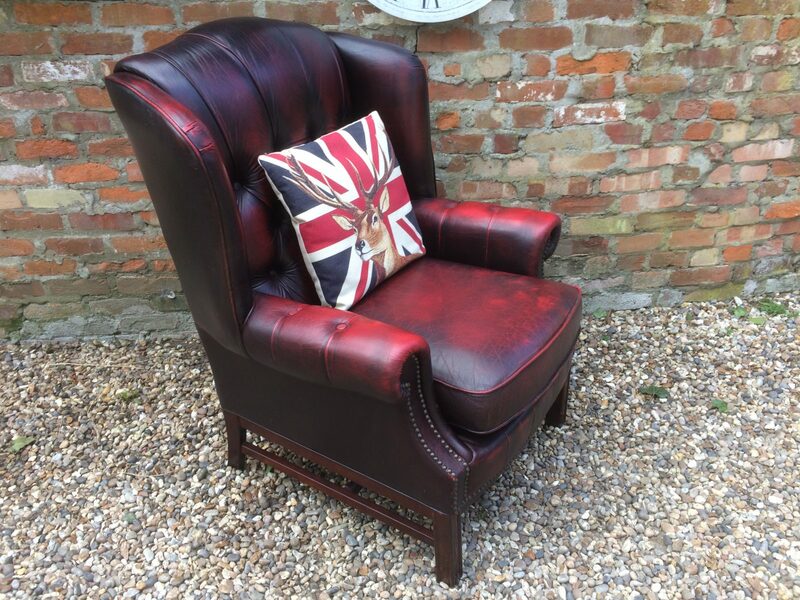 Enquiry about Classic Oxblood Wingback Armchair. 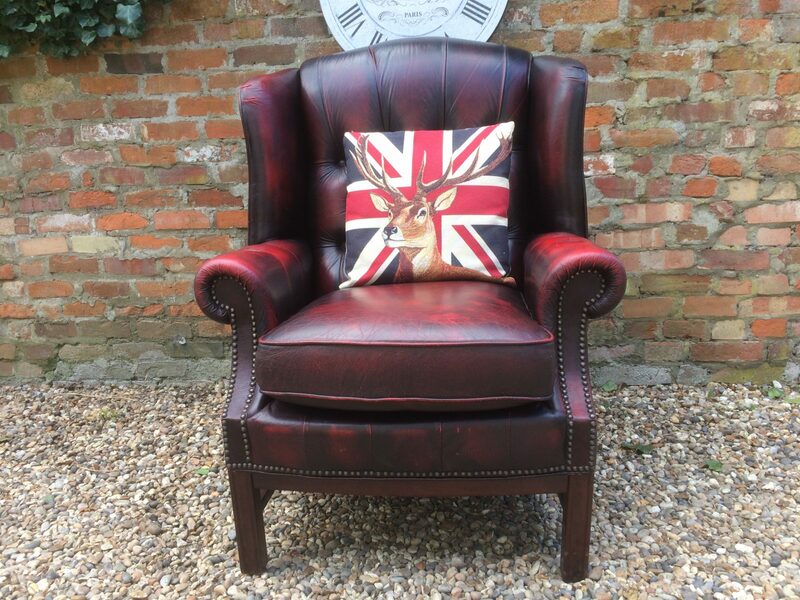 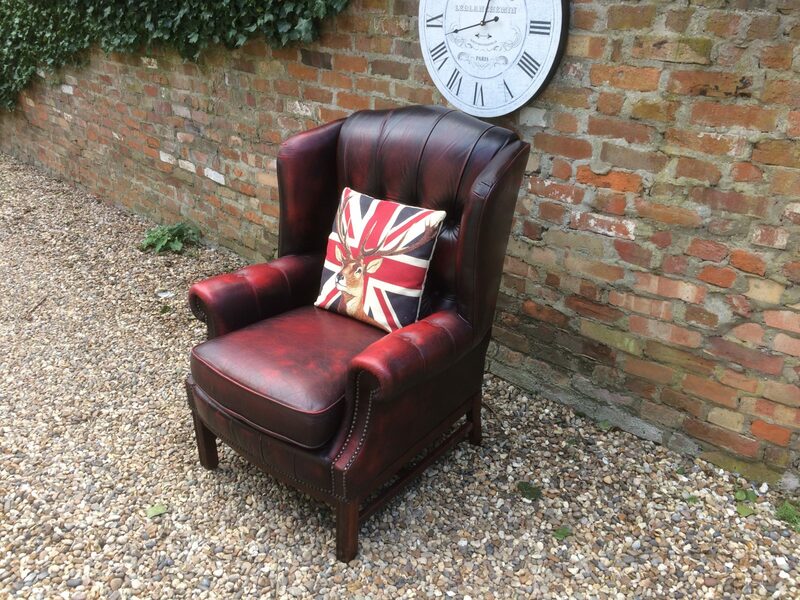 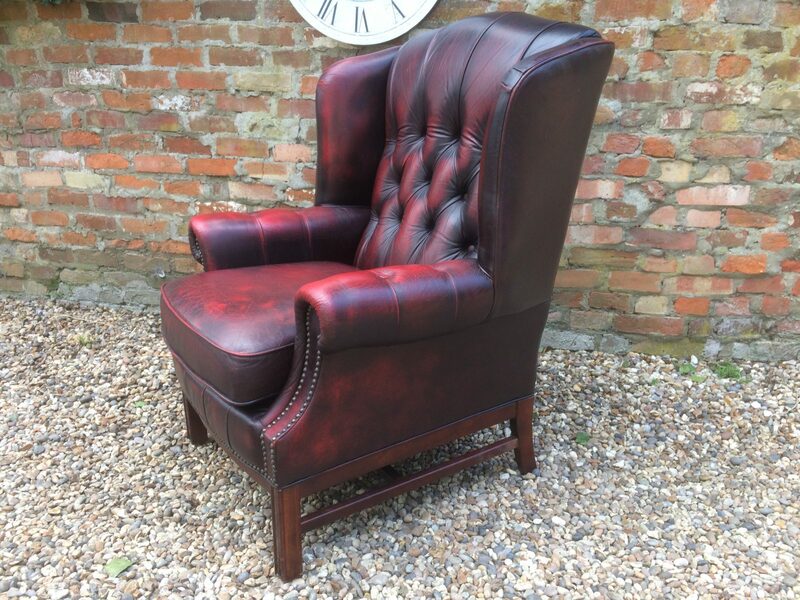 This very good example of a classic wingback armchair is finished in Antique Oxblood. 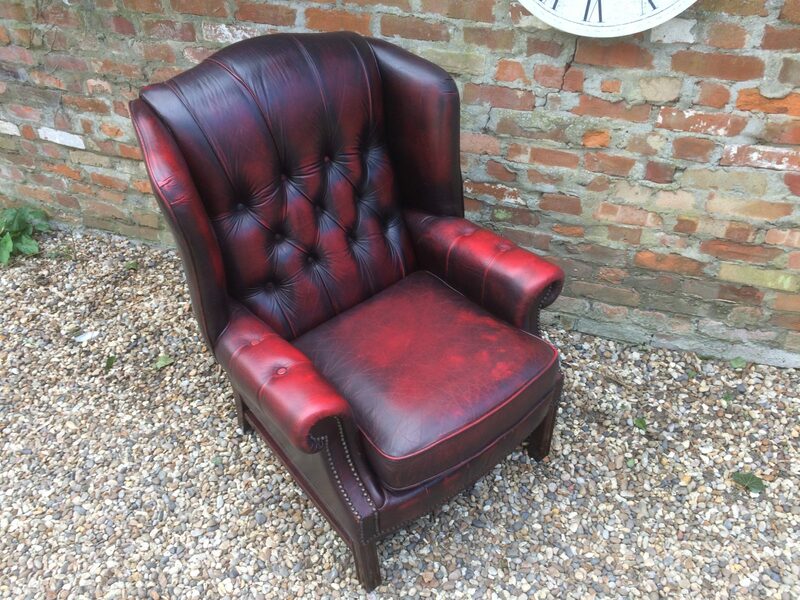 It is in excellent condition and dates from the early 1990’s.